The band was born in 2005 under the name of "When the Storm Broke".The first songs are written,but many line-up changes make the band split up in 2009, after a demo. In 2011 the founding members (Barra, Leone and Badiali) asked Andrea Bertolazzi, former Bad To The Bone Singer, to join the band. 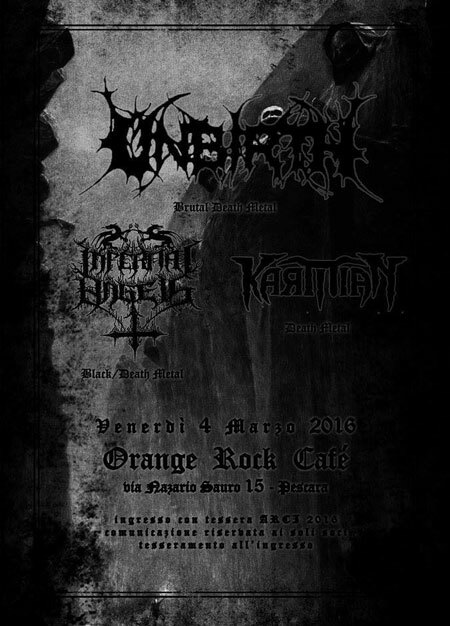 The four restart the project under the Karmian monicker, the sound became pure swedish death metal. After some gigs in northern Italy, in 2012 the project is completed with the bassman Andrea Sirignano. 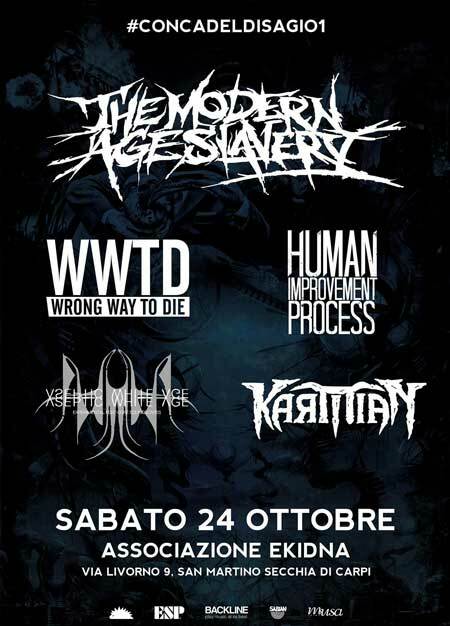 Karmian recorded at ZetaFactory Studio, aided by Dysfunction Production, the EP Ways of Death, available worldwide the 9th of July 2012. 2013 was a year of gigs around Italy and Sirignano left the band. Gabriele Gabrieli became the new bassman and then left on early 2018, replaced by Claudio Nasi. 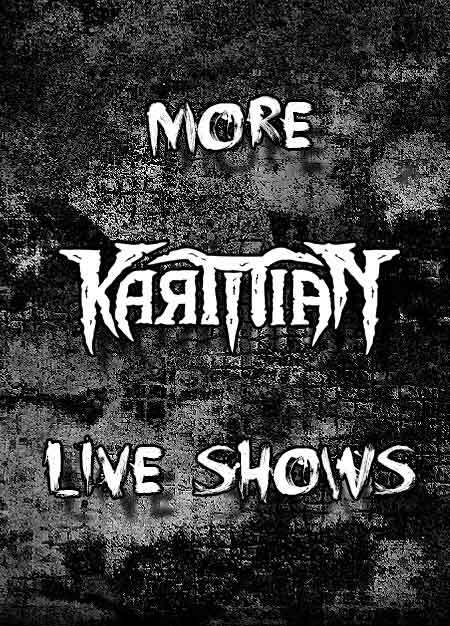 After a European Tour and continuous live performing, now Karmian are releasing their first full-length, available worldwide on Spotify, iTunes Music, Amazon Music, Google Play Music and physically from 10 september 2018. Check out our releases, stream tracks for free. 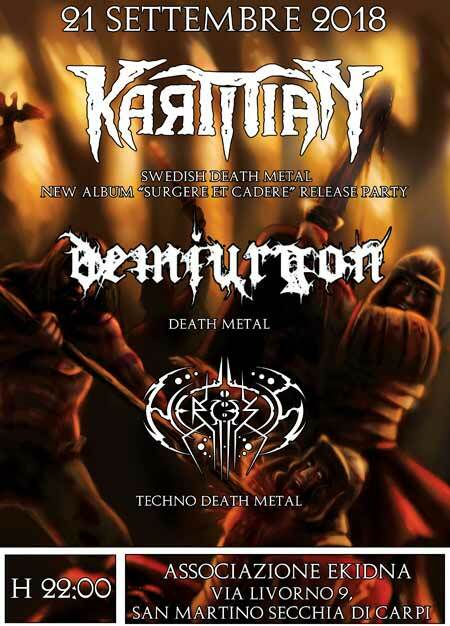 Karmian first full lenght out 10 september 2018, click to pre-order. Karmian first EP released in 2012, available worldwide on digital distribution. 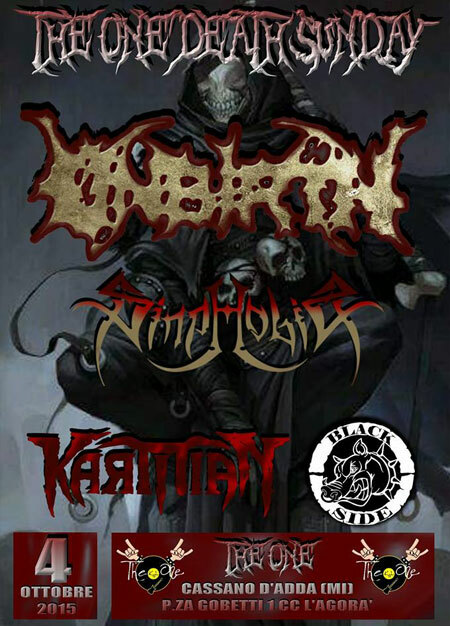 Karmian live at Rock Shock Festival 2012. Download it free! © 2019Karmian. All rights reserved.